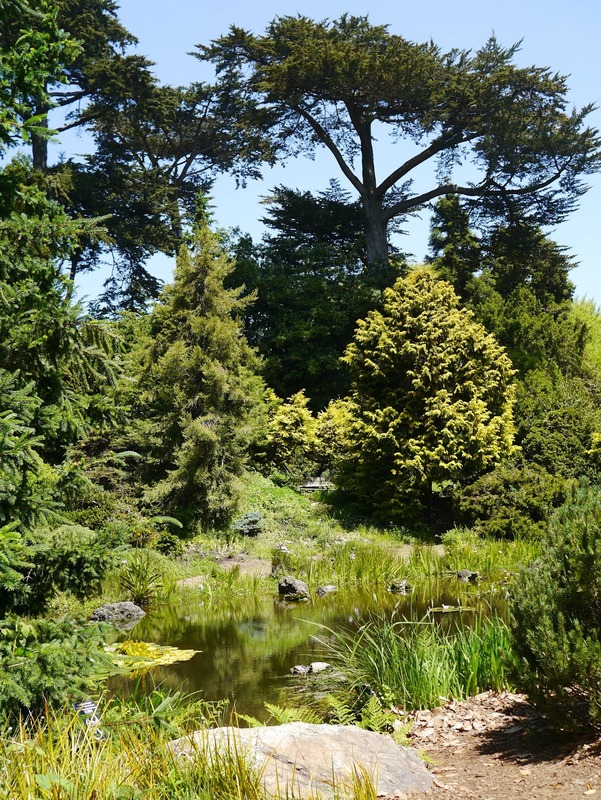 We're lucky here in Berkeley that we have so many fabulous restaurants, cafes, bakeries, farmers markets and take out places to eat at. 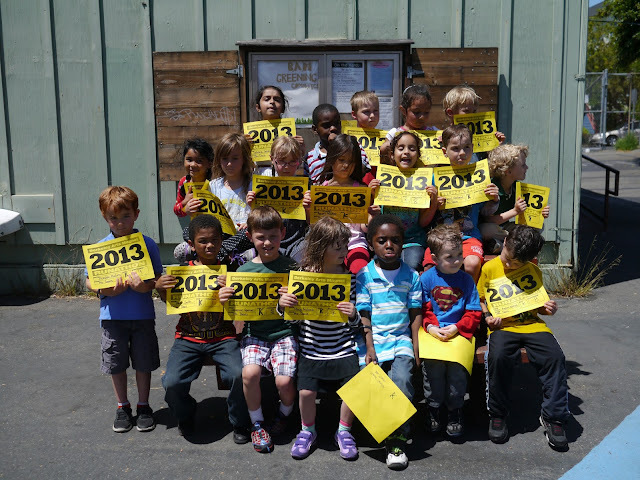 While dining out in Berkeley always means that you're in store for something delicious, today dining out in Berkeley also means you're helping out thousands of students throughout Berkeley Unified School District (BUSD). At present fourteen schools (from pre-K through to high school) across BUSD receive federal funding to support Berkeley's well known Edible Schoolyard program. The Edible Schoolyard program provides children in public schools the opportunity to learn about food and nutrition by growing and cooking fruits and vegetables themselves. It's an important program and one that is at risk of being lost. As of this October, BUSD will be losing all of its federal funding (approximately $1.9million) to run the Edible Schoolyard program. Without this funding the program can not continue to operate. 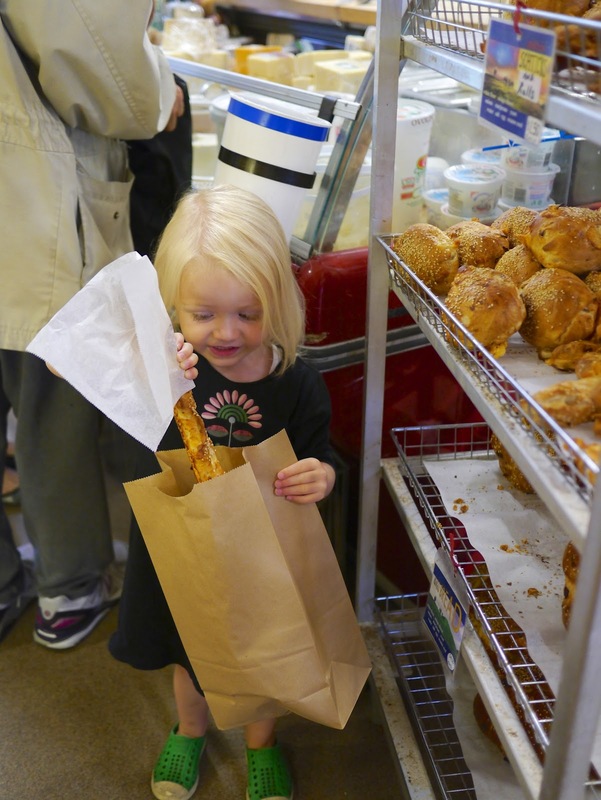 For today only a large number of Berkeley's restaurants, cafes, bakeries, pizzerias, take out joints and coffee spots will be taking part in Berkeley Dine Out. These establishments will be donating a percentage of their sales for the day to help keep the program alive. If you're in the Bay Area please help out by dining at one of the participating eateries. After dropping Ava off at school Lola and I headed straight to The Cheese Board, the first on our list of Berkeley eateries to visit today. Being Thursday, it's our favourite day to visit The Cheese Board: Asiago Schtick Day! Oh how we wish they made asiago schticks everyday. They're one of favourites. We also grabbed a copy of The Cheese Board's book "The Cheese Board Collective Works". I've been meaning to get a copy for a while and today seemed like the best time to pick one up. Here's Lola picking out and paying for our asiago schticks. In spite of my current illness, my little pregnant belly has recently popped out quite a bit. I'm now finally at the point where strangers are noticing that I'm pregnant. It's only taken 20 weeks! 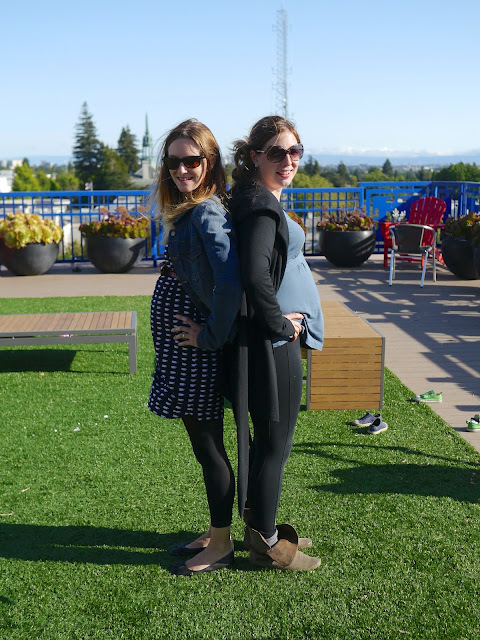 Until recently (and by recently I mean this past weekend) friends kept telling me that I didn't look pregnant. To me however I thought my belly was pretty big. I'd look down and all I could see was a big round belly. But to others apparently it wasn't so noticeable. Today was my birthday and Memorial Day. We had planned a nice day out heading up the coast to Humboldt Redwood State Park to drive through a few drive-through trees, visit a kitschy one log home and take in the majesty of the beautiful redwoods along Avenue of the Giants. 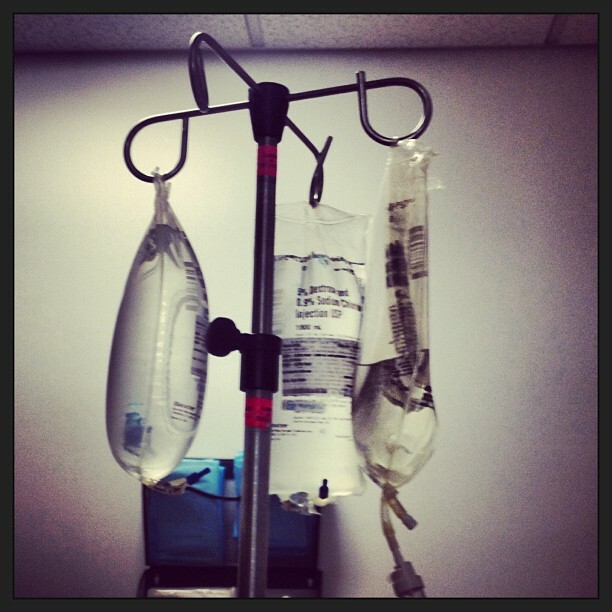 Instead I came down with a nasty gastric bug and, after much vomiting, spent the night and morning in hospital hooked up to an IV. Not really the day we had planned. I'm pleased to say that after all that fluid, pain killers, anti nausea medication and not-what was pumped into my veins I'm feeling much better. Still very tired and not really able to eat, but much better than last night. 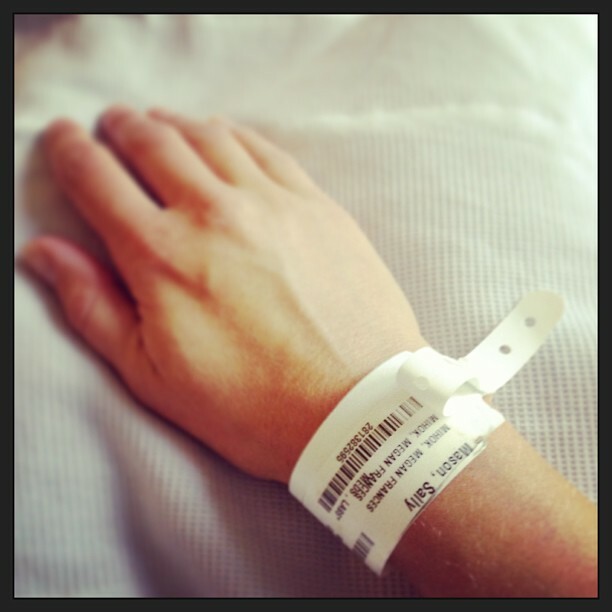 Not really the bracelet I wanted for my birthday! We'll just have to go for that birthday adventure in a few weeks' time instead. 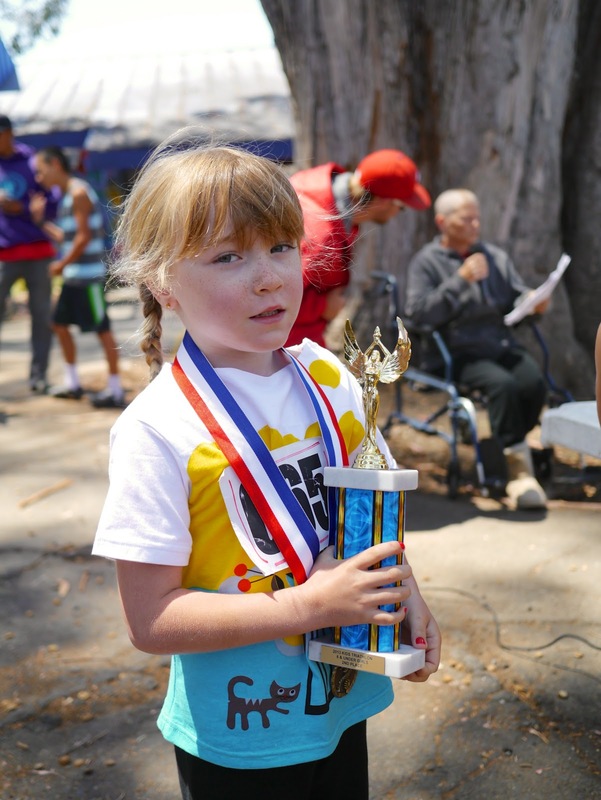 This week Ava's school, Berkeley Arts Magnet (or BAM for short) has been holding a runathon to raise much needed funds. Each class in the school has been taking part in the runathon during their regular PE class. Ava's class took part in the runathon on Tuesday and I was there with my trusty camera to get some action shots. 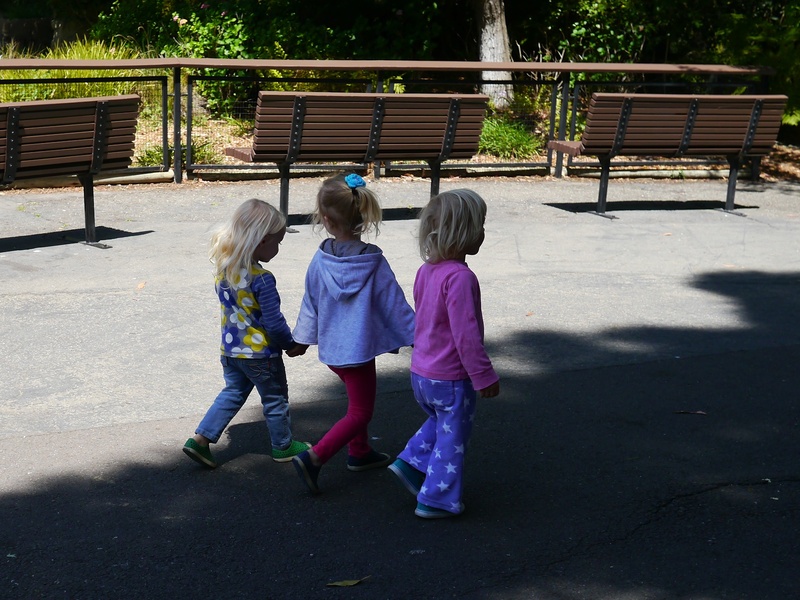 Is it possible for there to be anything cuter than three little friends having fun together on a sunny day? 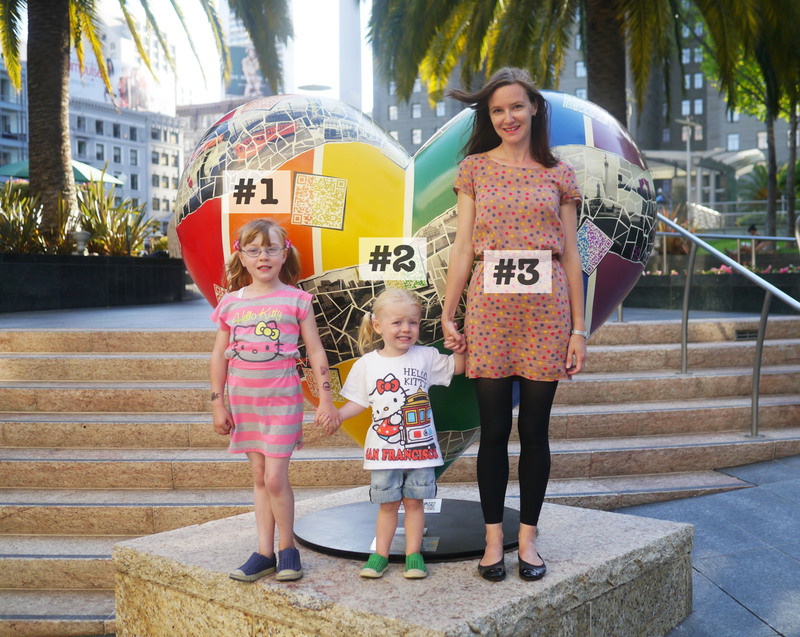 Throw in a fun location like Oakland Zoo and you've got yourself a cuteness overload! Just have a look at how much fun Lola and her little friends had at the zoo today. What could be cuter than walking hand in hand? 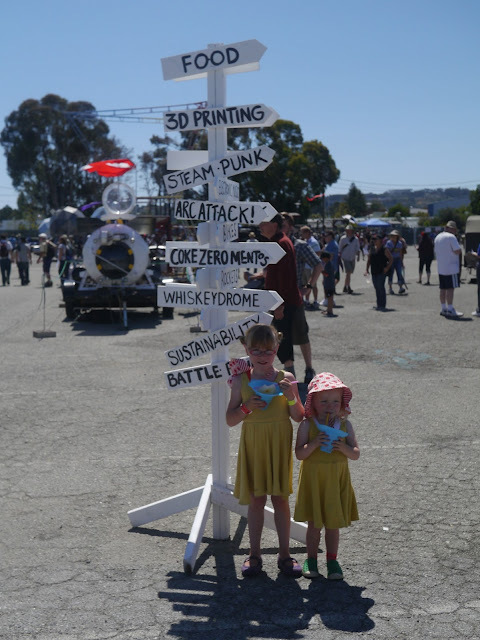 On Sunday we headed down south to San Mateo for Bay Area Maker Faire 2013. What an amazing festival! This was out first Maker Faire and based on how much fun we had it certainly won't be our last. There were so many fun exhibits to keep us busy: robots, crazy bikes, 3D printers, a giant hydraulic hand, electronic musical instruments, light shows, an inflatable forest, innovative new toys and loads of things that shot out flames. So many flames! I'm a proud Mummy today! Well, I'm always proud of my kids but today I'm extra proud of Ava. Ava competed in her first ever triathlon this morning and I'm so proud to say that she came in second place for her age group. Way to go Ava! What a fantastic result. 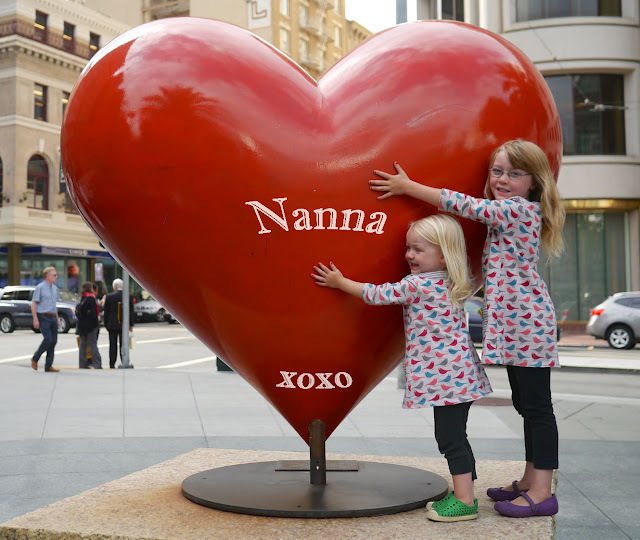 Lately the girls and I have been taking lots of photos with the hearts in San Francisco's Union Square. This gave me an idea for a cheesy Mother's Day card. Much like our Valentine's Day cards, I like my Mother's Day and Father's Day cards to be just a little cheesy. Not sappy or overly lovely-dovey, just a little bit cheesy - in a cute way. Today is Bike to School / Bike to Work Day. Ava loves riding her bike to school but she usually rides her scooter instead as it's much easier for me to keep up with her as I push Lola in her stroller. Today we decided that both girls could ride their bikes to school (while I ran along side!) to celebrate Bike to School Day. 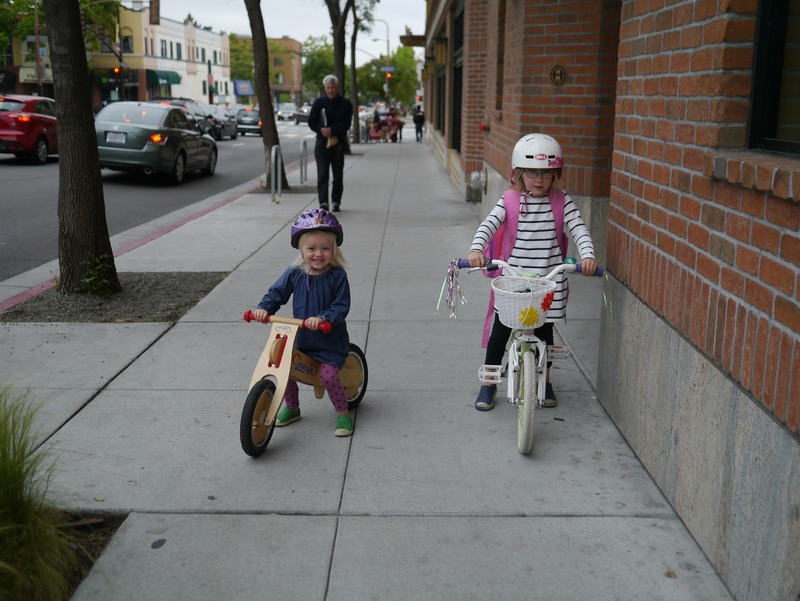 Here's a look at Ava and Lola riding their bikes to school.